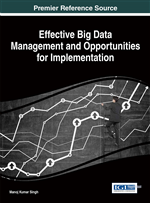 With the time, Big Data became the core competitive factor for enterprises to develop and grow. Some enterprises such as, information industrial enterprises will put more focus on the technology or product innovation for solving the challenges of big data, i.e., capture, storage, analysis and application. Enterprises like, manufacturing, banking and other enterprises will also benefit from analysis and manage big data, and be provided more opportunities for management innovation, strategy innovation or marketing innovation. High performance network capacity provides the backbone for high end computing systems. These high end computing systems plays vital role in Big Data. Persistent and Sophisticated targeted network attacks have challenged today's enterprise security teams. By exploring each aspect of high performance network capacity, the major objective of this book chapter is to present fundamental theoretical aspects in analytical way with deep focus on possibilities, impediments and challenges for network security in Big Data. Enterprises awash in flood of unstructured, semi structured and structured data, which introduced a multitude of security and privacy issues for organizations to contend with. Today's enterprise security teams focused and searching for the root causes of the attack often feels like looking for a needle in a haystack, but as per a white paper (White Paper, n.d.), getting valuable information in context of big data is more than “looking for the needles”, security is a serious business and it is “eliminating the hay from the haystack”. Security has traditionally been all about the defense. The term network security means providing security when data is on fly, i.e. over network. Network traffic monitoring remains a decisive component of any enterprise’s security strategy, but gaining context into the gigantic amounts of data collected from network, in a timely fashion, is still a hurdle for many enterprise security teams. Incident responders are eventually looking for possible ways to definitively identify threats for evaluating risk of infection and to take the necessary steps to remediate (Arbor Networks Blog, 2014).